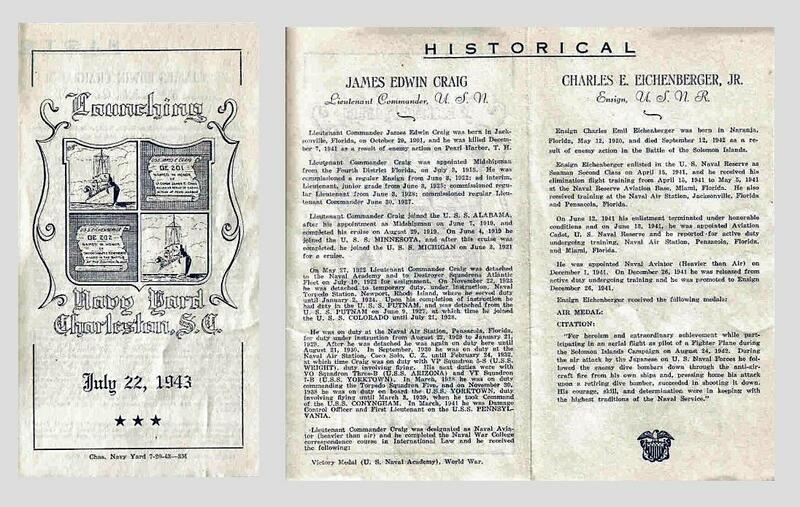 15 April 1943: Keel laid by the Charleston Navy Yard, Charleston, S.C.
47k James Edwin Craig, born Jacksonville, Fla. on 29 October 1901. 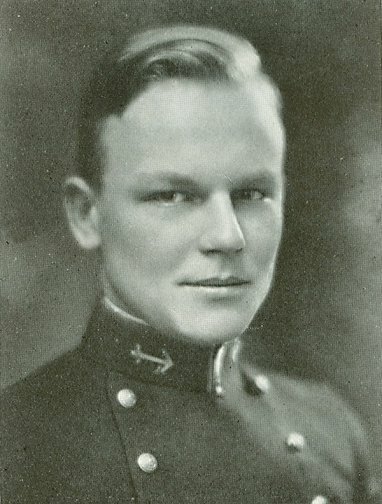 He was appointed to the Naval Academy 3 July 1918. 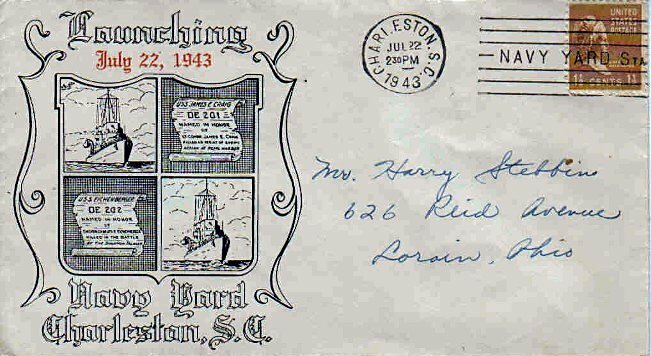 After graduation in 1922, he saw almost continuous sea duty until early 1929 when he received aviation training at the Pensacola Naval Air Station. As an aviator, he served at Coco Solo, C.Z., and on board Wright, Arizona, and Yorktown. He attained the rank of Lieutenant Commander in 1937 and commanded Torpedo Squadron 5 in 1938. In March 1939 he assumed command of USS Conyngham (DD 371). Two years later he became Damage Control Officer and First Lieutenant aboard Pennsylvania. Lieutenant Commander Craig was killed in action during the Japanese surprise attack on Pearl Harbor 7 December 1941. 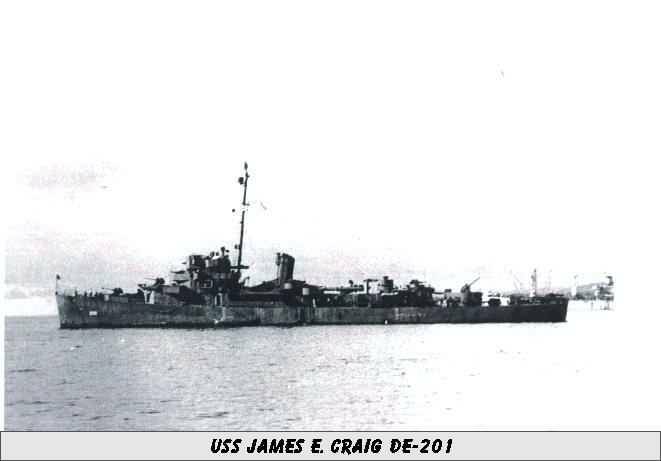 USS James E. Craig (DE 201) (1943-1946) was the first ship to be named in his honor. 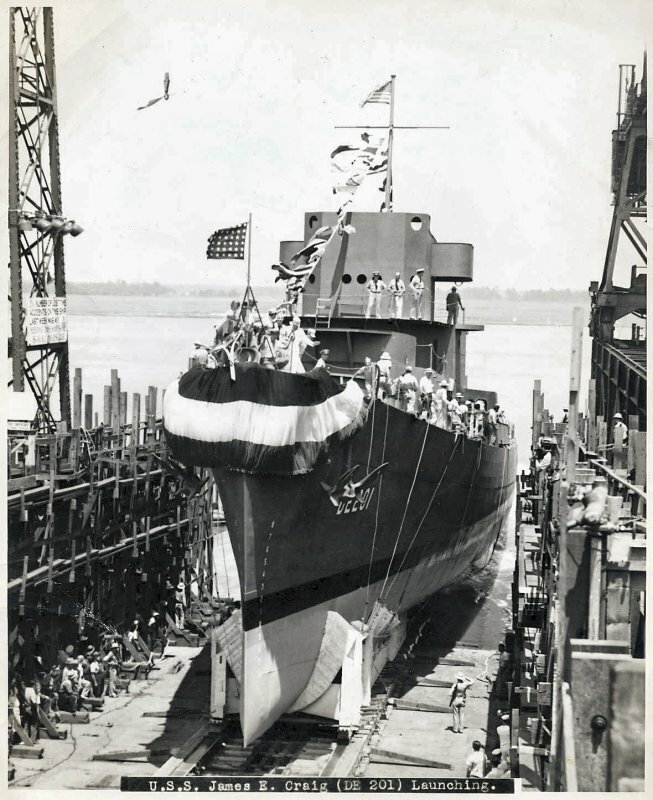 View the USS James E. Craig (DE 201) DANFS history entry located on the Naval History and Heritage Command web site.